I ran cross country in high school and recreationally through college. During this first year out of college, I have been putting in more than ever. I hope to start continue running, get faster, and start competing in races. Kasey is a Rochester transplant, originally from Michigan’s Upper Peninsula. 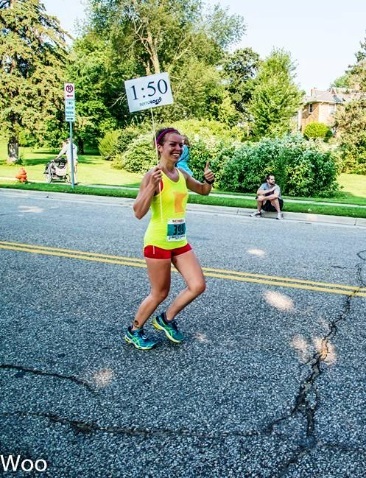 Throughout high school and college, she ran “casually” or “for fun” or “to eat more cupcakes.” She participated in a couple 5Ks, and her idea of a long run was 4 miles. When she moved to Rochester, a new friend asked her if she was interested in running a half marathon. She replied, “What?! A half marathon?! Only crazy people run that far!” However, she decided to take on the challenge, and ran her first - the Rock N’ Roll Half Marathon in Las Vegas, December 2010. 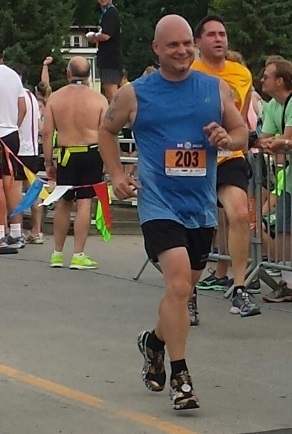 The thrill and excitement of crossing the finish line – still alive- after 13.1 miles, was exhilarating. What she considered to be nearly impossible was completely achievable. She thought, “If I can run a half, I can certainly run a full!” She did some thorough searching, because if she was going to run one marathon in her life, it had to be in an amazing location. About a week later, she found it, and was registered for Big Sur, May 1st, 2011. The race was officially sold out, but she was able to run on the American Cancer Society’s charity team. Running 26.2 miles – her longest distance to date, was the most amazing and rewarding feeling she had ever experienced. At that moment, she was officially addicted. Her next endeavor: The Boston Marathon. She decided to run Grandma’s Marathon in 2012, as her qualifying race, because she had lived in Duluth and graduated from UMD. 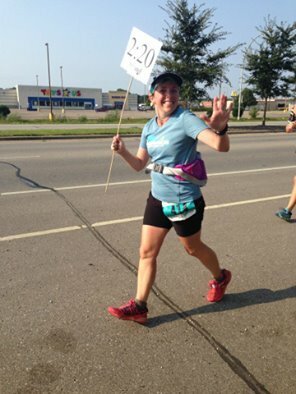 She trained vigorously, on her own, and crossed the finish line that June morning with a BQ! After realizing she could conquer endeavors she never thought possible, she decided to take on the 50 States Challenge. Her goal is “50 by 50:” to run a marathon in each of the 50 states by her 50th birthday. So far, she has completed 17 marathons in 16 states! 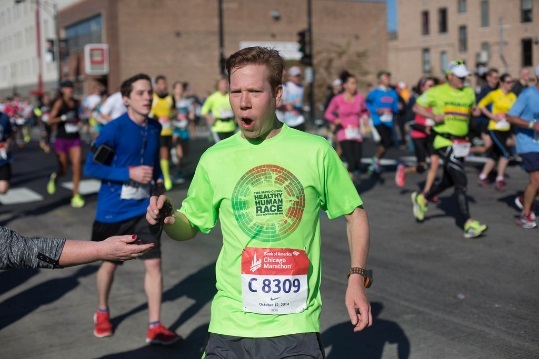 Kasey loves running, and enjoys encouraging and helping others achieve their running goals. She’s thrilled to be a TerraLoco Pacer! I started running while living in England. It started out as something to do in the evening and quickly turned into something that I thoroughly enjoyed. My initial route was exactly 3 miles from my flat, around Winchester Cathedral, and back up a monster hill. Soon, I was expanding my distance mile by mile. Upon moving back to the US, I decided I wanted to run a half marathon, but had trouble finding one, so I just opted to run the full 26.2 miles. 14 years later, I'm still running and have run nearly every distance from 5K to 100 miles. I love running for the people. the fun, and common bond we all share. 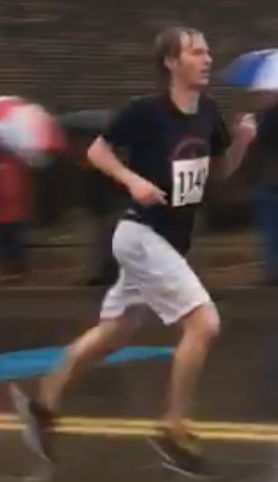 I got back into running about 4 years ago, mostly to get myself back into shape. I signed up for my first race to help set personal goals and hold myself accountable. Fast forward to now. Not much has changed, except I now run for enjoyment. I've run 2 full marathons and 5 half marathons. I'm am running 2 more of each this year. I'm setting my goals high, but still continue to make running fun for me. Pacing will be a new experience for me, but I will bring enthusiasm and excitement to the run. I'm here to help you finish strong. I started running in high school after realizing I wasn't good enough to make the soccer or basketball teams, and that the track and cross country teams didn't cut anyone. I began distance running in 2011 to challenge myself, and have been competing in half and full marathons ever since (11 halfs & 3 fulls to date). 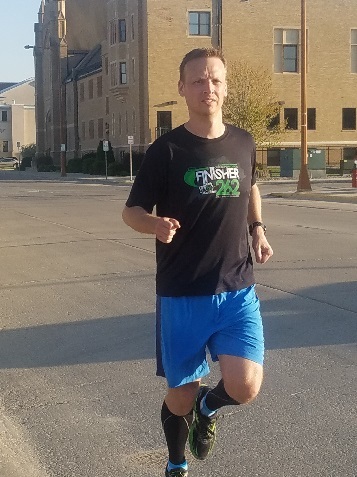 I'm always looking for unusual or unique events, including a relay race across 339 miles of Iowa countryside this June, and that's why I got into pacing. 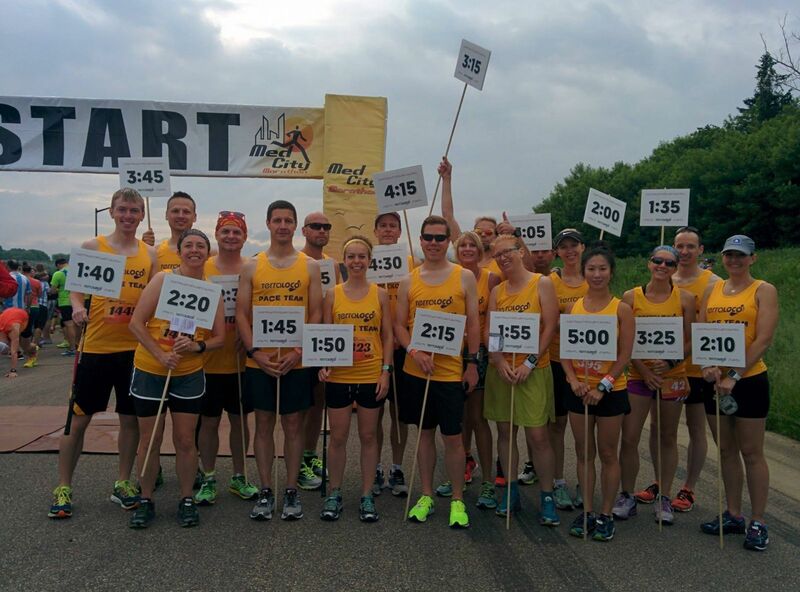 Racing is fun, but there are so many other ways to enjoy running as both a sport and hobby. Outside of running, I play a variety of sports, tinker with construction & engineering projects, and enjoy spending time in social settings. Ann (Anderson) Noser is a small animal veterinarian at Quarry Hill Park Animal Hospital during the day and a mom, wife, and author at night. In her limited spare time, she loves trail running, yoga, and reading. She does not like cake (except rhubarb) and prefers fruit pie. 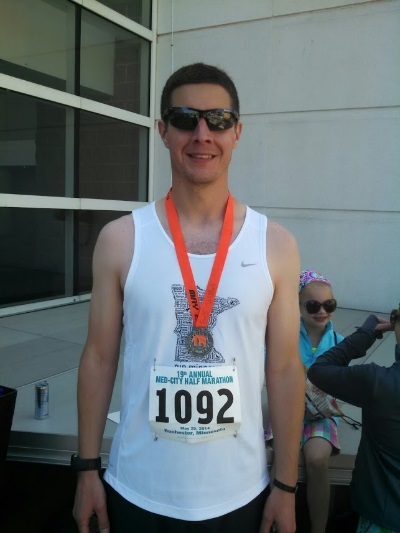 Sean Cedotal 46:I started running in 2009 shortly after being diagnosed with type 2 diabetes. The day I started, I couldn't make it to the end of the block, but I kept at it. 4 months later I completed my first 5K and 2 months after that my first 10K. I lost 50 lbs and was taken off all medication. I met a lot of wonderful people running and some of them encouraged me to run the Med City 1/2 marathon in 2012. One of the great things is meeting up with other runners from social media around the country and participating with them in races. I now want to inspire others in the joy of running! Keep Upright and Smiling! Want to get involved? There are many ways to participate! 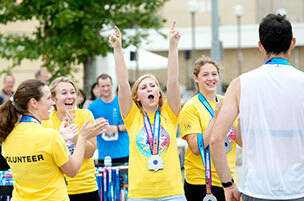 Register for any of the great events, sign-up as a volunteer, or partner with us as a sponsor!